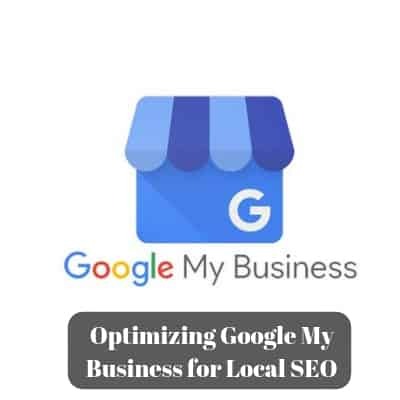 For clients that we work with that have a focus on Local SEO, meaning they serve a local or hyperlocal market, one of the first things we do is optimize their Google My Business profile so it is set up for success. In this article, I want to point out some of the most important things that you can do to optimize your Google My Business profile for SEO purposes. The local proximity to the searcher has now been claimed to be the number 1 search factor for Local SEO efforts. This being known, having a highly optimized Google My Business profile is crucial if you want to move the needle in a Local SEO campaign. While there are many factors, here are some of the action items that will help you to move the needle quickly. This may seem obvious, but the majority of clients we work with do not have a profile that is completely set up. When setting up the profile make sure that all sections are completely filled out and also that you are using trigger keywords in your business description and anywhere else that you can in the profile. For instance, if you have a plumbing company in San Diego, you should be mentioning both plumbing and San Diego often in your profile. The categories you choose for your Google My Business profile can make or break your local SEO efforts, so make sure and choose carefully. We advise clients to choose as many categories as they can that are even remotely relevant to their business. In addition to this, you will want to add a page on your website that matches exactly the category you are choosing. For instance, if you choose the category hvac contractor, you will want a dedicated page on your website that is an exact match to hvac contractor. This one can get a bit more complicated if you have a lot of citations floating around. A citation being anywhere your business name address and phone number are listed, generally in online directory sites like Yelp etc. We call this NAP consistency and this is a big factor in getting you results in Local SEO. They must match almost exactly from one website to another. If you find that they do not and you don’t have logins for all the citation sites, there are a plethora of options out there that you can pay to do a citation clean up for you and this will be money well spent if you are focusing on Local SEO. The importance of reviews in this day in age can not be denied. However, not only do reviews help people decide whether or not they will do business with you, it also can help your SEO. The more reviews you have the more likely your profile is going to be served for the search terms that you are approaching. Additionally, if you have reviews that have your focus keywords for local SEO within the review that is an even better scenario! Whether you have 1 service or 1000 services you should have the services section of your Google My Business profile filled in completely. This information should contain the keywords that you are focusing on as they relate to your business. This is one that is constantly overlooked, but if you use Google My Business posts it will only help your Local SEO efforts. These posts can be keyword focused and can be very beneficial to helping Google understand what your business does and the market it serves. If you want to learn more about how to use Google My Business Posts for Local SEO, here is another article just about that topic. While there are a multitude of considerations when it comes to optimizing your Google My Business profile, these that I have listed are a great place to start. Generally, you want an active profile that is fully complete and has lots of focus keywords in it’s content in a variety of different places throughout the profile. Happy optimizing!